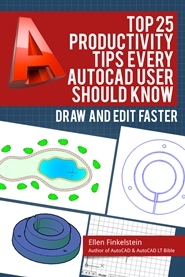 You probably have a shortcut to AutoCAD on your desktop. If you do, you can customize how that shortcut works. 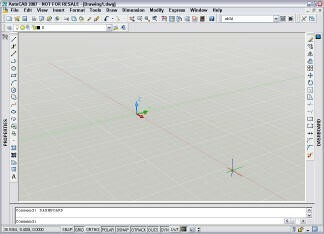 You can even create several shortcuts and tell them to open AutoCAD in different ways. This is called using command-line switches. Right-click the new shortcut and choose Properties to open its Properties dialog box. The Target text box contains the current command. This is what Windows executes when you double-click the shortcut. Notice the quotation marks around it; these are necessary whenever any part of the command has spaces. 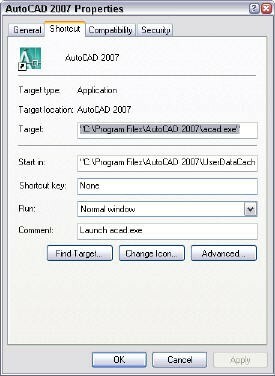 In this case the Program Files and AutoCAD folders have a space. Click to the right of the last quotation mark and press the Spacebar. Then you add your switches. /b opens a drawing and runs a script on it. You need the full drawing path. Example: /b “c:\drawings\clients and odd jobs\Jones” /b setup. Notice the quotation marks around the path because of the spaces. /nologo opens AutoCAD without displaying the splash screen. This saves you at least a second. /nossm opens AutoCAD without the Sheet Set Manager. /p opens AutoCAD with a saved profile. Example: /p ellen. You need to have saved the profile. /r resets AutoCAD to the default configuration file. /s specifies support folders (when you want to use support files that aren’t in AutoCAD’s support file search path). Separate folders with a semi-colon (;) without spaces between them. /t opens a new drawing based on a template. Example: /t b-arch. This is the one we want for our example. /v opens a drawing with a specified named view. Example: c:\drawings\3479a.dwg /v elevation. Of course, the view needs to exist. 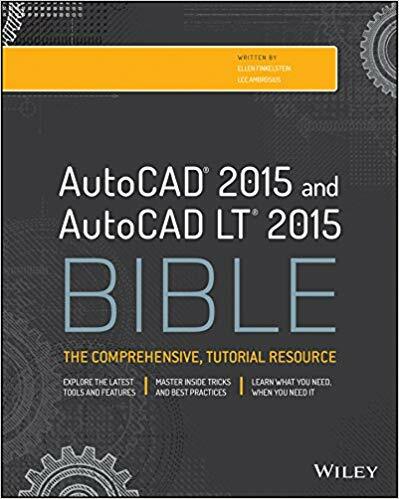 /w opens AutoCAD with the specified worksheet. Example: /w ab3d. This is the other one we want to use for our example. This opens AutoCAD with the acad3d.dwt template and in the ab3d workspace.